You’ve been thinking about selling digital products online for some time now, but you’re stuck. What are the best digital products to sell online? Which formats and categories are the most popular? Will my audience even care about my digital products? How can I feel confident that my digital products will successfully sell in this crowded market? Don’t worry -- with the right info in hand, deciding which digital products to sell online doesn’t have to be so mind-boggling. 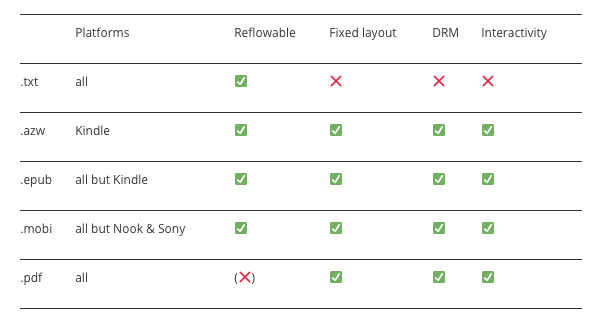 We put together a list of the most popular types of digital downloads to sell in today’s market, categorized by format and audience category. Plus, we’ve included some additional resources for when you’re ready to execute. Ready to get started? Let’s roll out with our first format -- the written word. For all you authors and writers out there, this format is one of the most common digital products out there, so there’s undoubtedly a market demand for it. In fact, the global ebook market is growing at a 93% compound annual growth rate (CAGR) and expected to grow about 16% annually through 2020. Why is the market for the (digitally) written word growing? This format not only require little-to-no heavy lifting to create, but it’s also easy to consume. You can distribute written digital downloads with ease, and coupled with their low cost to produce, they serve as great marketing tools. 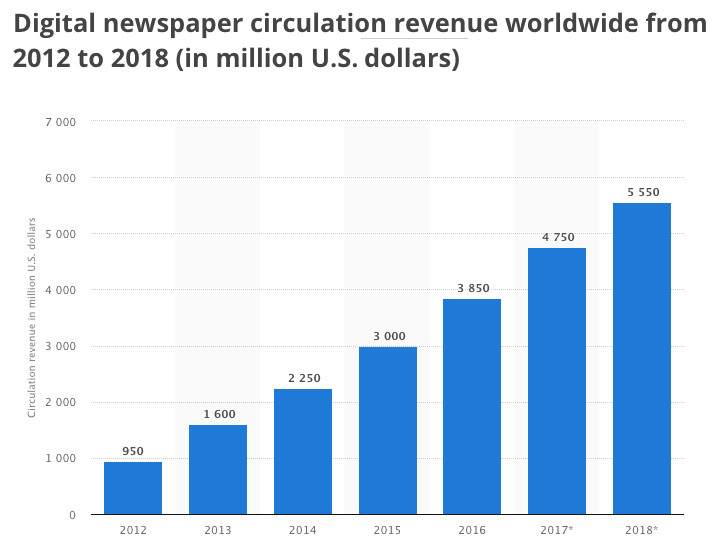 Which is likely part of the reason why digital newspaper readership is increasing worldwide. Sound like something you want in on? Let’s dig into the details, then. 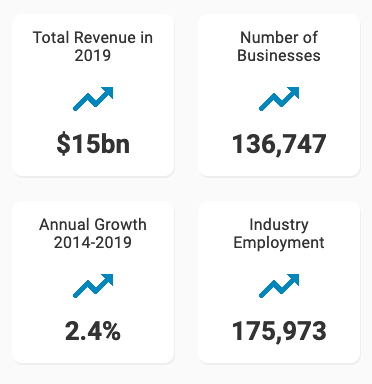 In 2018, digital publishing revenue grew to nearly $18 billion in the US alone, making this a substantial market. One way to tap into this growth is by turning your long-form content into an ebook. 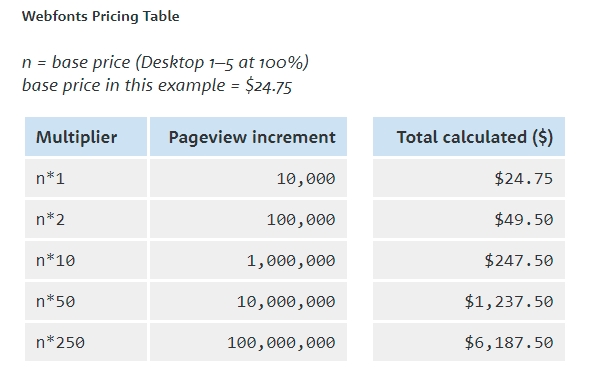 You can either go all out and sell a full-length book of your content with unique upgrades or create an entirely new piece of content offered as an exclusive to your paying readers. In either case, the only time-consuming aspect of an ebook is the creation. Delivery and shipping is a cinch. 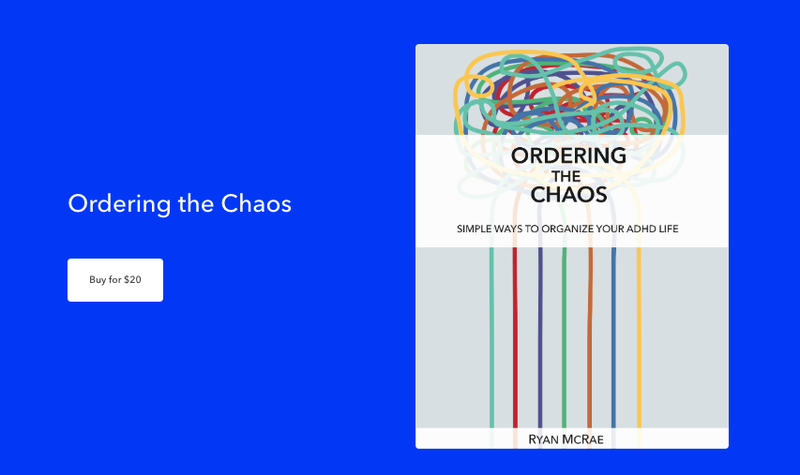 Need more on how to create an ebook from start to finish? HubSpot has a comprehensive guide for creating an ebook, plus free templates that you can use. You may also find this free digital download generator tool helpful, by using the “text and images” option. Now, on to our next written format. Guides make for a great way to teach your audience how to achieve a specific result in the form of how-to articles, step-by-steps, tutorials, and et cetera. And as a bonus, you can accompany your text with visuals to enhance your reader’s learning experience, making it advantageous to offer both the written and visual aspects within your guide. After all, readers like their images to be coupled with text. People follow directions 323% better if you include both text and illustrations. Basically, a guide offers you an effective way to demonstrate your expertise to your audience, showing them that you’re the one who can help them achieve what they’re after. The next digital product format is great for showing off your expertise, too. If you’re an author or entrepreneur who’s discovered a good thing worth sharing (i.e., a formula, recipe, system, sequence, or et cetera), it may be worthwhile to sell it as a downloadable template. Say you’re a savvy copywriter and you’ve sent and tested enough client emails throughout your career to know which sequences bring in the highest open rates and conversions. That’s gold right there for offering a template packet as your digital product. The same concept applies to other successful aspects of your business that you’ve discovered along the way. So if you’ve got a winning secret that can help your audience, templates are a great way to showcase and share your knowledge with them. We’ve got one more for you in this section. To close the loop on the written format, let’s look at documents. A document is exactly what it sounds like: virtually any piece of writing that can be used as a resource for your audience, whether that’s for entertainment or education, falls into the document category. For instance, documents might include cheat sheets, checklists, listicles, assessments, quizzes, and et cetera. Since documents tend to be more actionable and interactive pieces of content, they’re typically shorter than ebooks or guides, as you can see with this Course Launch Checklist. Documents don’t always have to come with a price tag, either. 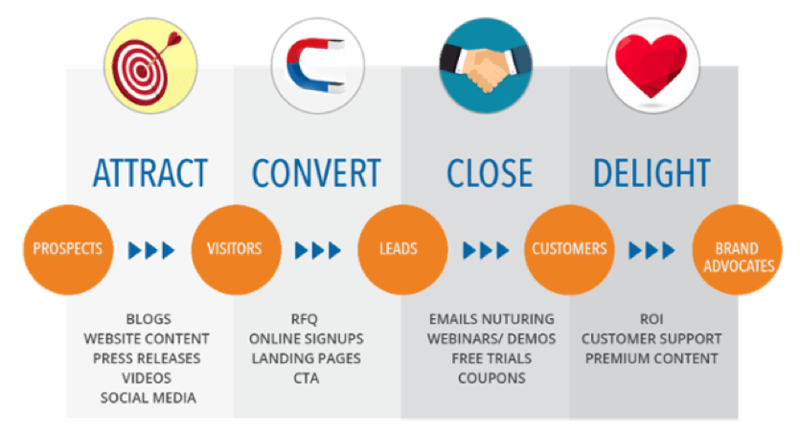 Offering up your content for free as a lead magnet is a fantastic way to attract new audience members and nurture them throughout the buyer’s journey. All in all, written digital products are a popular way to go: they’re relatively inexpensive to produce, and your audience can easily download and consume them on their own time. Before we move on to the next format, let’s quickly cover who benefits most from this category. 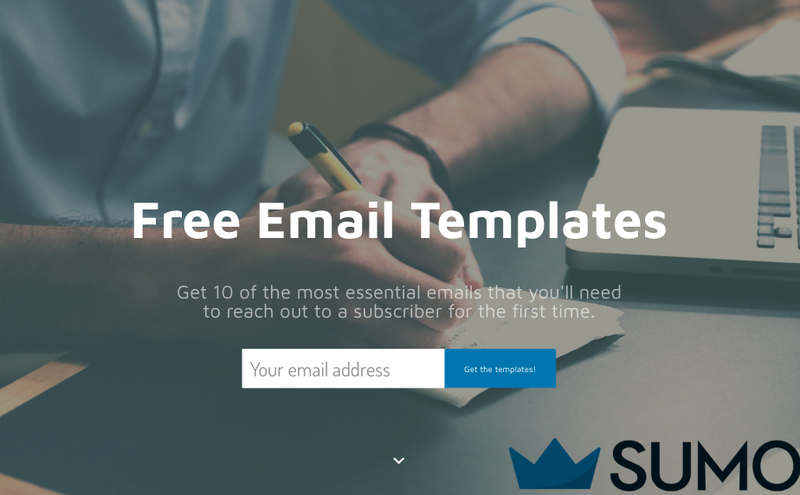 Businesses who want to create a lead magnet to grow their subscriber list and audience size. Bloggers who want to offer a content upgrade on their article pages. A content upgrade is a condensed version of a blog article or complementary piece of content that readers can opt-in for, to access as a digital download. Content writers and creators who want to feature their writing and copywriting skills. Educators and businesses who want to teach their audience step-by-step how to achieve a specific result. OK -- that covers the written format. What about more design-oriented creators? That’s where this next type of digital product comes in. As we mentioned earlier, visual elements are hugely important when it comes to audience engagement. This is particularly true if you’re designing educational material. 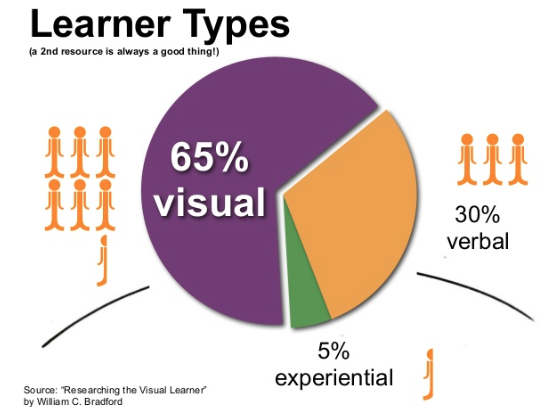 After all, 65% of us are visual learners. Which means there’s a big opportunity here for visual creators to capitalize on selling digital products that both engage and elevate their audience’s education. Let’s check out the specific categories and formats that design-related content tends to fall into. Whether you’re a travel or event photographer, historian, artist, or someone who shoots for a specific industry and supports marketing needs, selling your digital photography is a great way to monetize your shooting and photo-making skills. Huge, particularly in the business-to-business sector. 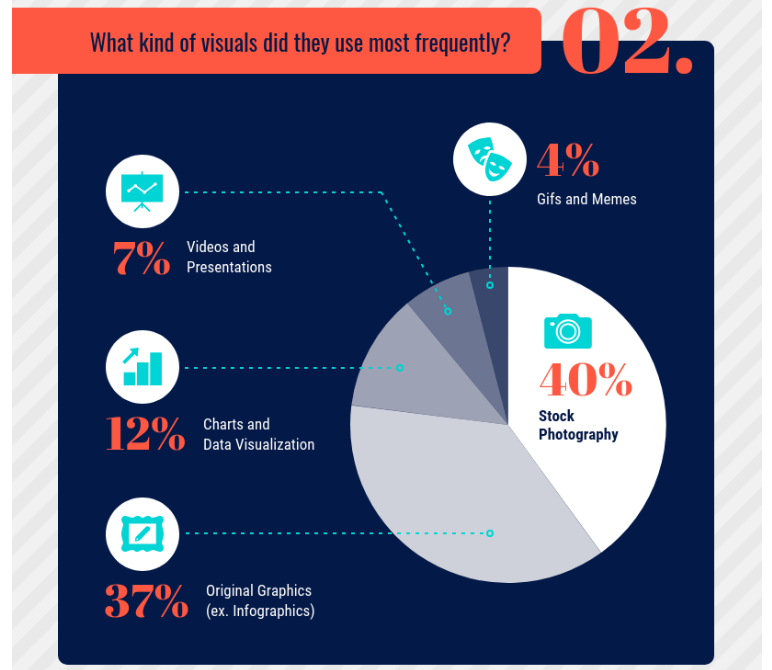 In a survey of 300 marketers, 40% of professionals say they use stock photography most frequently of any type of visual, making it the most prolific format in their marketing efforts. Think those ranges seem high? For someone at the top of their game, it’s anything but. As an example, consider the case of the professional landscape photographer, Max Rive, who sells his images directly on his own site for $897 if printed with a bamboo giclee finish. So, whether you’re selling your digital photos directly to end-users to enjoy or to businesses, selling your digital photography is a great way to distribute your creative talent and bring in significant income. But what about a visual product that doesn’t require camera equipment? For you illustrators and graphic designers out there, there’s a substantial market opportunity for you to serve businesses, too. Out of 1,500 small businesses, 49% stated that graphic design is vital to their business success. And these days, people love infographics. People share infographics 3x more than any other type of content, and infographics can increase your web traffic by up to 12%. Why are infographics so prized? Businesses love them because they attract more eyeballs to their content and readers love them because they’re easier to digest. So if you can turn complex data and stats into something visually simplistic and aesthetic, designing infographics is a great option for you. 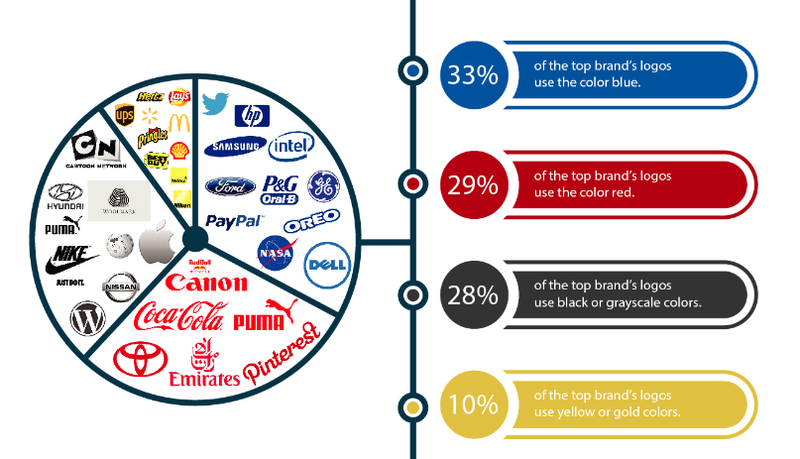 Interested in creating infographics but don’t know where to get started? 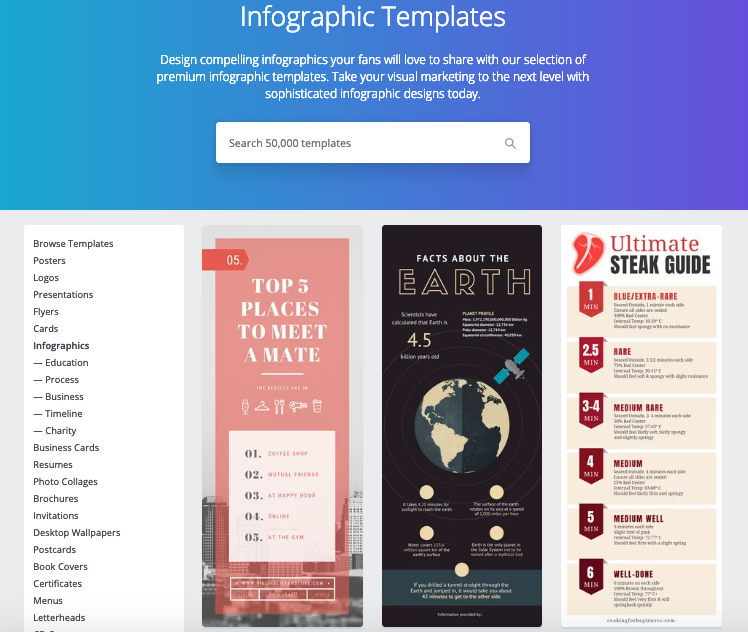 One of our favorite tools, Canva, offers over 50,000 free infographic templates on their design site. If Canva isn’t your speed, Venngage and Piktochart are also popular and user-friendly platforms that make infographics a breeze. That covers infographics -- what about other custom graphics and illustrations? Custom illustrations allow for brands to stand out with their unique look and feel in a way that stock photography never can. In other words, they give brands authenticity. And authentic branding is important, with 91% of consumers more likely to purchase from a business perceived as authentic. Tip: As you’re creating custom digital art for your customers, keep in mind the importance of color consistency. 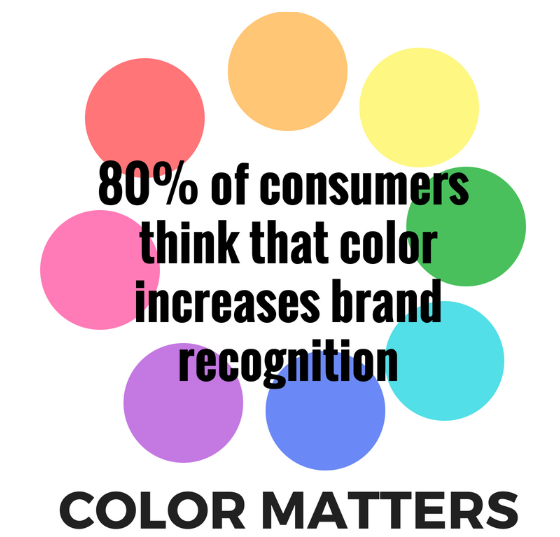 Color increases brand recognition by up to 80%. By offering unique digital art, whether for the end user or for businesses, you’ll be able to provide something very unique to your audience. Our next digital format accomplishes the same thing but through individual components. You don’t necessarily need to sell an entire digital masterpiece to fulfill someone’s need for unique branding or customizable art. Another option is to create elements of digital design like fonts, icons, and logos. All three of these elements are important to a business’ branding, particularly logos, which represent a business’ identity. And the key to business revenue growth is in the consistent use of branding. All three of these elements create a cohesive branding image, and other businesses know it. 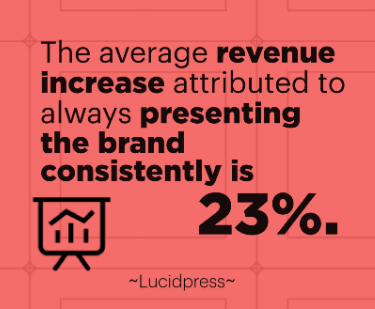 It’s a well-established fact that consistent branding accounts for an average of 23% in revenue increase. Similar icons - useful for simple actions and concepts that are easy to understand. Example icons - useful for representing things that are commonly associated with an action, object, or concept. 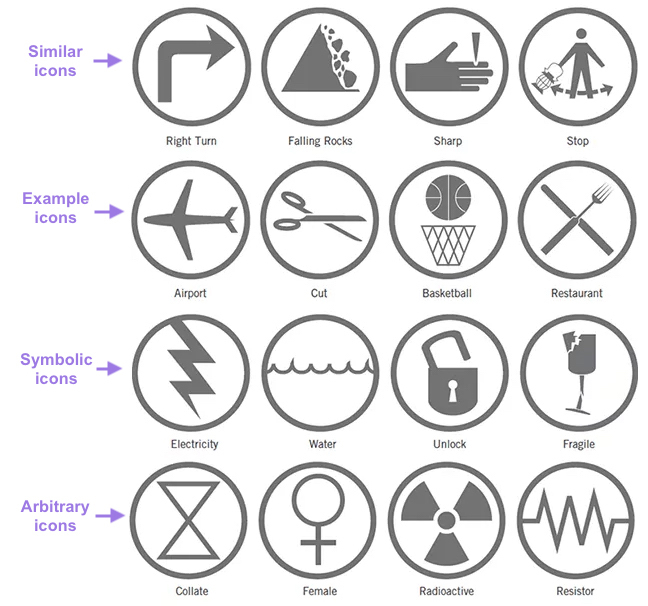 Symbolic icons - icons that represent an action, object, or concept at a higher abstraction level. Arbitrary icons - icons that aren’t intuitive to understand. They need to be introduced and familiarized over time before becoming universally known as an industry’s standard. So if you have a knack for design, then consider selling logos, typefaces, or icons to leverage your skill set online. A good selling point for you is that you can help increase the important brand consistency required for growth. We’ve got two more categories within visual products for you. Remember those written templates we talked about earlier? Well, design form is a great business opportunity as well. You can offer templates of virtually any of your design work, so long as the pieces are designed to be swapped out and customized. Which means the sky’s the limit. You can sell templates for slide presentations, marketing collateral, brochures, sales sheets, infographics, and the list goes on. 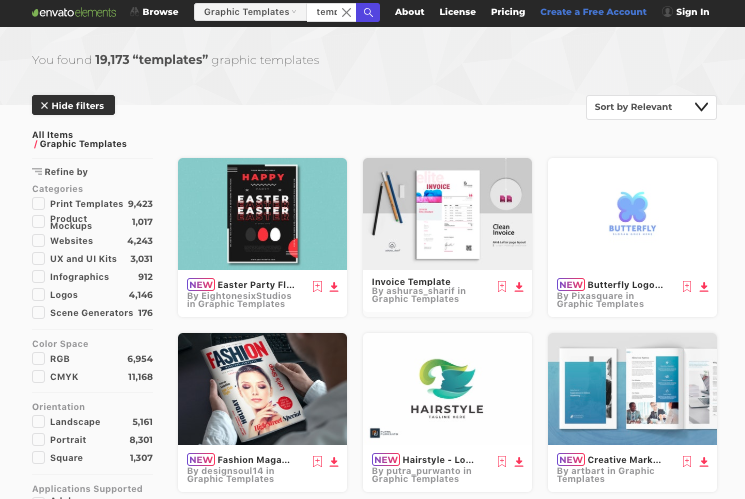 Design site, Envato, offers templates in virtually every category you can think of from posters and logos to user experience kits and product mockups. So there’s definitely a market to find with templates. The only guiding rule with creating templates is this: it needs to be customizable and tailored for the needs of your specific audience without being so constrictive that it’s too niche to sell. The same rule goes for our final visual product, as well. If you’re selling directly to end-users, here's where you can get very creative. Normally those physical products that you purchase at arts and craft stores like calendars, cards, journals, posters, and et cetera, can also be purchased as digital products, where your customers print the items on their own. This gives your audience the convenience of not having to shop around physically to find what they need, and it gives you the opportunity to really stand out from the rest with your unique designs that are exclusively available through your store. 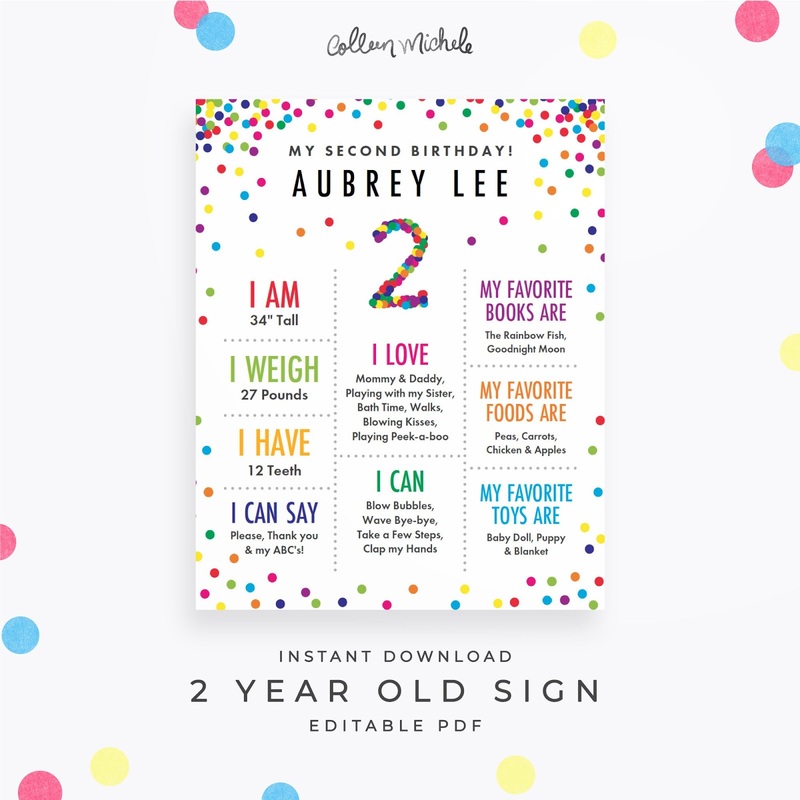 Take, for example, graphic designer Colleen Michele’s digital products, where she sells customizable signs for toddler birthdays as digital downloads. You simply put in your two-year-old’s details and you’re able to download and print the custom image on your own instantly. Which means as a creator, your potential audience includes anyone with internet and printing access. Now that you're well-versed on the various visual formats let’s uncover the matching audiences. Businesses, founders, and entrepreneurs who want to increase their brand equity. Customers who want a unique visual product to enjoy. Authors, writers, and content creators in need of a unique image to complement their work, products, content, and messaging. Anyone looking for something visually striking that helps them stand out from their competition. OK -- you’ve got visual products down. Now, let’s put things in motion. Video will account for 79% of global Internet traffic by 2020. Which means that video as a format can only grow in popularity as technology drivers push forward. 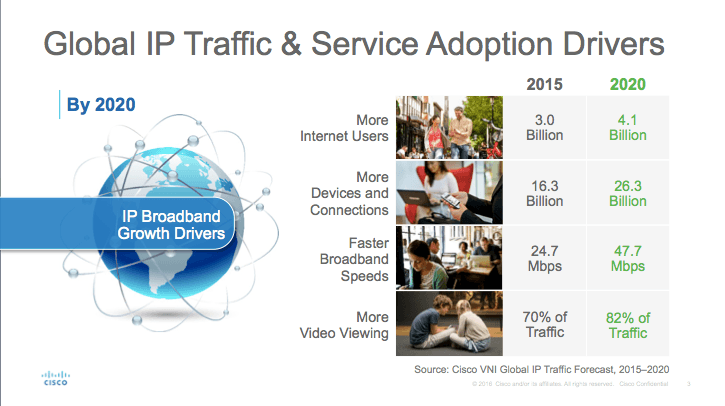 Check out this anticipated growth for drivers of global IP traffic and service adoption. Video viewing is expected to reach 82% of traffic by 2020. And here’s another stat for you. 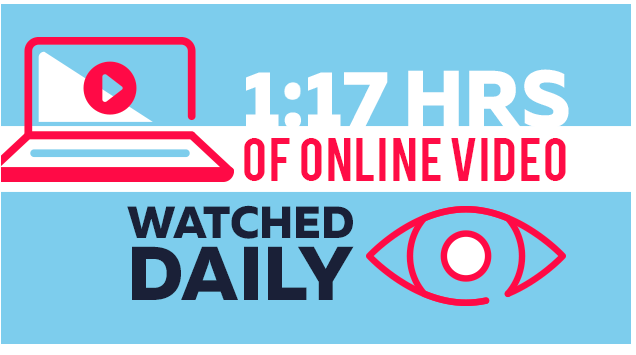 Each person in the US watches an average of 1 hour and 17 minutes of online videos daily. This isn’t expected to slow down, either. In fact, digital video viewership is expected to grow by nearly 10 minutes for every US adult by the end of 2019, which means 1 hour and 26 minutes per person each day. Of course, tackling such a vast format is easiest when you have a lane to follow, so let’s check out the most popular categories for video. If you’re a talented filmmaker who can polish together films for either entertainment, educational, or marketing purposes, these formats may be perfect for you. You can sell your films to entertain your audience directly and also as b-roll or educational footage for other content creators to use. Short-film Sriracha is an example of a documentary for sale, sold directly to consumers. And don’t despair if you don’t have a studio full of equipment. Thanks to ridiculously powerful phone cameras, anyone with an eye for film can shoot professional-quality video from most mobile phones. That said, the video format isn’t just for creators who like to hang out behind the camera lens. It’s for illustrators, too, as you’ll see in the next format. Animation artists have a unique opportunity to offer something not everyone can create. For those graphic designers and illustrators who can turn your images into animated movies, this one is ideal for you. Just as custom illustrations provide businesses and entrepreneurs with a unique brand-building method, custom animations do the same. As a bonus, your animations don’t have to be particularly long to be effective. 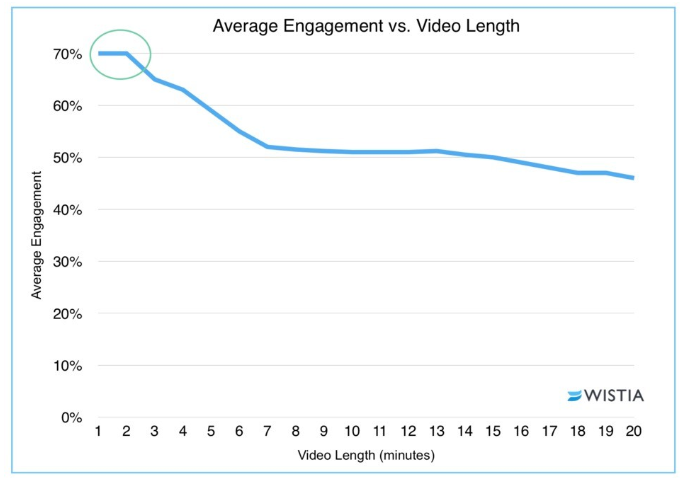 In fact, the best-performing videos come in around the one-minute mark. Videos that are up to one-minute long have an average 70% play rate, which then drops off by 5% at the two-minute mark. Animated video is great for brands that prefer a more unique touch with their audience, which makes this format an ideal option for creators to sell to reach a global audience. As usual, let’s take a quick segue into who video products work best for. Online businesses, brand managers, and business owners with various video, storytelling, and animation needs for commercials, product demonstrations, marketing content, and et cetera. Course creators and educators who want to include video tutorials in their educational content. Storytellers, authors, and writers who want to turn their ideas into films. Entertainment customers who want to purchase their favorite animations, films, or videos to watch at leisure. Bloggers who want to complement their online content with videos and vlog material. Whether for entertainment or marketing purposes, video is consuming more of people’s attention, making this a great format to engage audiences with your digital products. Now, lend me your ear for our next product type today. 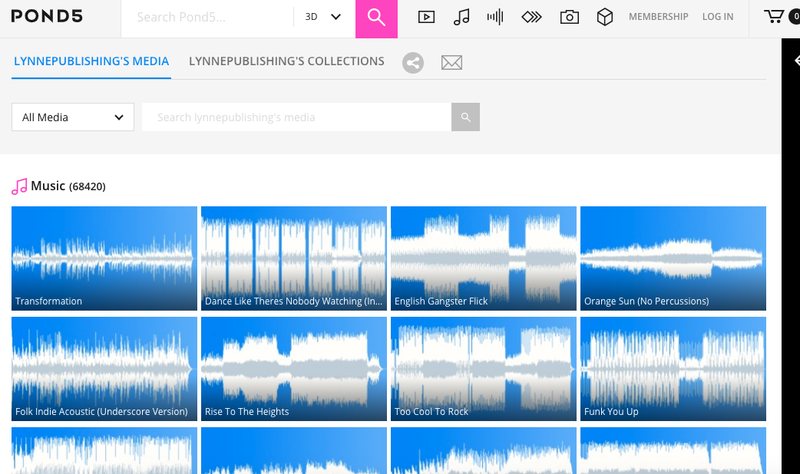 There’s a multitude of audio and music files you can create and sell including songs, beats, jingles, samples, tracks, sounds effects, and et cetera. Not everyone in need has access to creating their own royalty-free audio files, which creates an opportunity for musicians and sound engineers to sell audio products to people without those resources. Let’s take a look at what the market for this format looks like. In 2018, the music industry generated around $51.5 billion globally, with 19.6 billion of that coming from the US alone. 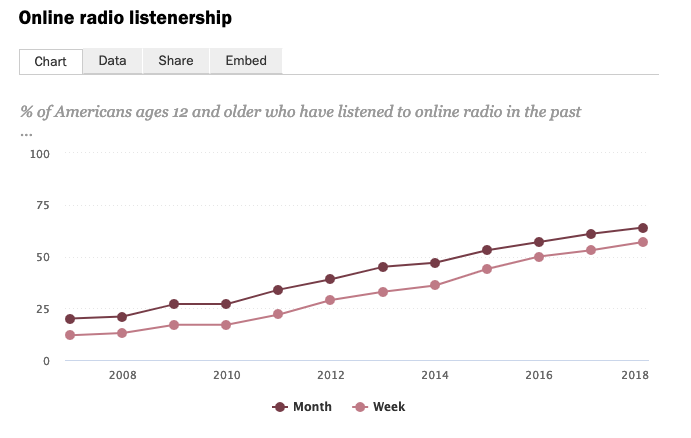 All these stats point to a growing market for digital music creators, which means you have a great opportunity to create and sell items from your sound library. Caveat: While streaming digital music is growing in popularity, actual downloads for music decreased by 20.5% in revenue according to the 2018 report, which makes your audience for audio products more suitable for B2B customers instead of direct consumers. And now more on who you can serve. Podcasters and broadcasters who need intros, outros, samples, or soundtracks for their shows. Businesses, content creators, and filmmakers who need jingles or audio tracks for their videos and commercials. Musicians and artists who need samples, beats, or tracks to orchestrate their songs. Music lovers who want to purchase songs and pieces that they love to listen to. This one is definitely a growing field. The global e-learning market is anticipated to reach $325 billion by 2025, which is a projected annual growth rate of nearly 10%. Specifically, online courses make up $46 billion of that market. Wondering what categories and audiences you can serve with your educational product? 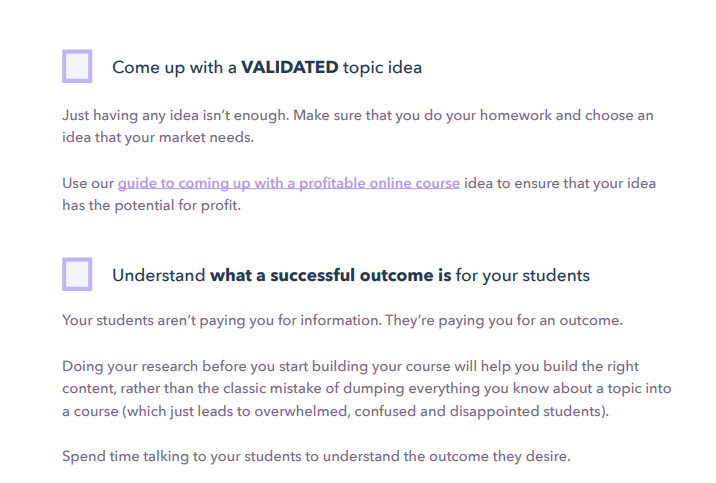 You can sell online courses on essentially anything. There’s no real limit here: cooking classes; diet, nutrition, and workout plans; stand-up comedy tutorials; language lessons; coding courses; music and art demonstrations; and so on. Practically any professional service can be turned into an educational resource for sale from financial advice and life coaching to consulting and online marketing. For a comprehensive play-by-play on how to create, sell, and profit from an online course, check out this complete guide. In eight chapters, it sums up everything you need to know to become a successful online course builder. And if you’re looking for the exact tools you’ll need to create your online course, here are 13 essential tools to use. Another great way to serve your audience through educational content is to create a membership site that serves as a hub for all the resourceful info you provide related to your area of expertise. 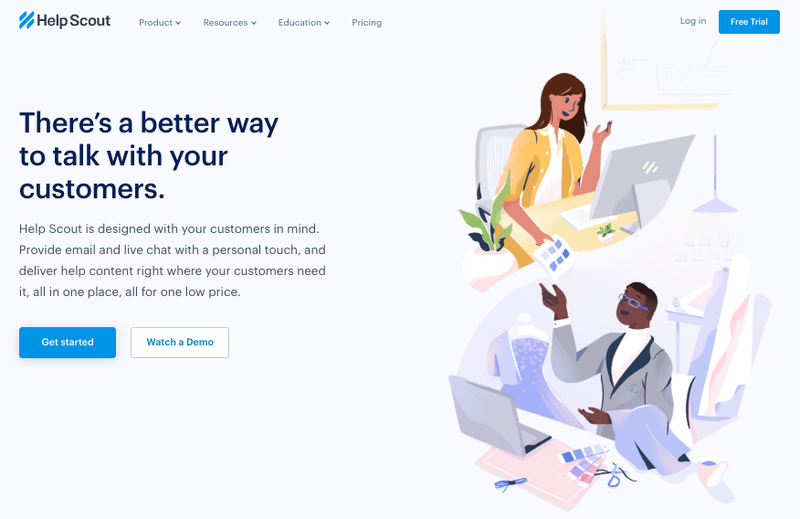 If you decide to build a membership site to show off and sell your resources and expertise, we’ve got this complete guide on creating membership sites for you, which lays out for you all the steps you need to create an amazing membership website. So online courses and membership sites are two impactful ways to serve your audience through educational digital products. As far as audiences go, here’s who to serve with your educational digital products. Businesses, founders, and entrepreneurs in any industry who want to productize their services and reach a broader audience. Educators, teachers, and instructors who want to monetize their expertise. Content creators who want to support the growth efforts of educators, businesses, and entrepreneurs. Entrepreneurs looking to build content for an online community of like-minded people who want access to exclusive resources. Students who want to learn more about any topic under the sun at a time and place of their choosing (i.e., whenever and wherever they want). All the various formats mentioned (i.e., written, visual, video, or audio) can be turned into educational digital content. So long as you’re teaching your audience something of value where they’re driven to achieve a specific result, they’re willing to pay. And that wraps up the most popular digital products to sell online. Phew -- congrats on making it through your list of choices. Now the only thing to do is to settle on one and take action. Ready to sell your own popular digital download? As you can see, there’s a popular digital product for every creator to sell. With a better understanding of the most popular routes to take, you’re ready to take on the market of digital products and let your light shine. Written products like ebooks, guides, templates, and other digital documents are all popular items to sell online to either businesses, founders, content creators or educators. Visual products, such as photography, graphic designs, illustrations, fonts, icons, logos, design templates, and printable products, are another option to sell to both businesses and end-users. If you can make films, video is a format growing in popularity, which makes short films, stock videos, documentaries, and animations good digital products to sell for both business and entertainment purposes. With the growing audio and music market, digital products like songs, beats, jingles, samples, tracks, and sound effects make for great options to sell to content creators and businesses. The digital education publishing market is anticipated to grow 10% annually through 2025, which means selling your educational products, like online courses or membership sites, can definitely be a profitable route. So there you have it -- the most popular types of digital products to sell online. 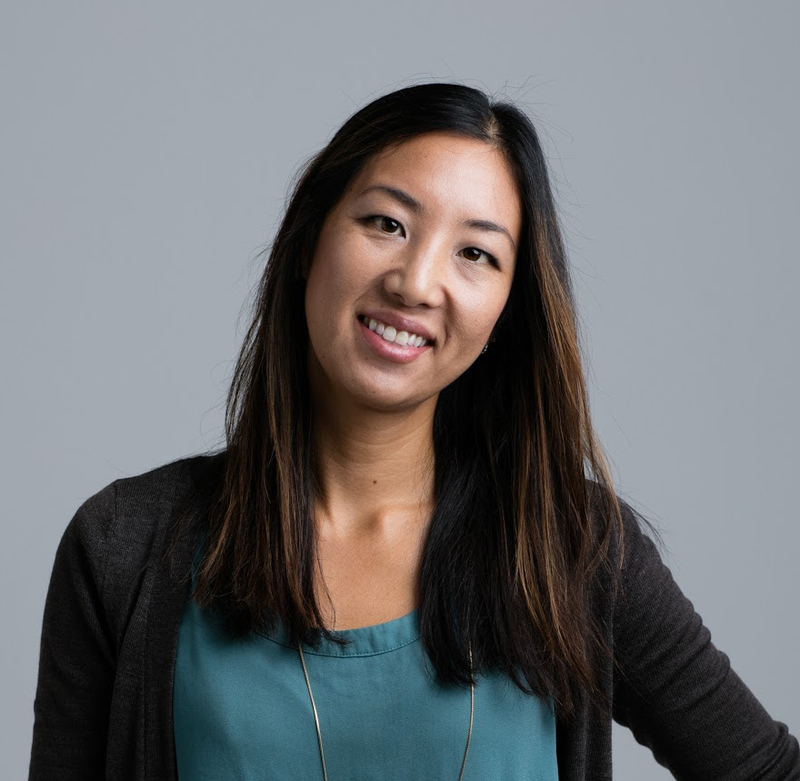 Landing on your first idea is the hard part: once you’re ready to roll out the implementation, Podia makes selling your products a cinch, and with a two-week, no-risk trial, it makes onboarding even easier.